Willi Lindhorst came to America in 1963 from his homeland, Oldenburg, Germany. He brought with him his many dreams of trains and models. His life-long hobby burned in his heart for the next 30 years as he made his living and raised his family in this country. 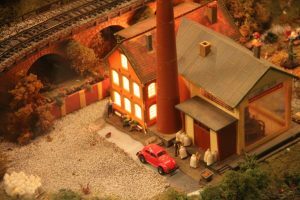 In the early 1990’s Willi and Judi, his wife and partner, began looking for an area in which to cultivate their dreams of a special Exhibit Hall to show off the German-made Alpine Model Railroads and trains. Willi hoped to include topographical features of his German homeland in the exhibit. After investigating many locations along the eastern section of the United states, they selected the beautiful area known as Alpine Helen in the North Georgia Mountains. Here in Helen, they created their ‘Miniature Germany’ model railroad in a building especially designed to house the mountains and valleys of Germany in HO scale. The resulting Alpine Model Railroad exhibit depicts Germany from the North Sea to the Alps through accurately landscaped topography.The model, complete with bridges, autobahn with moving vehicles, and authentic German rural, industrial and urban architecture, is fully peopled. The computer-operated railway system with intriguing train track layouts, terminals, tunnels and trestles is circled by miniature Hot-Air Balloons. Thousands of hours went in to assembling every model for the 20′ by 50′ layout. Observation of the large arrangement is available from two levels in the immense Exhibit Hall which covers over 2400 square feet. 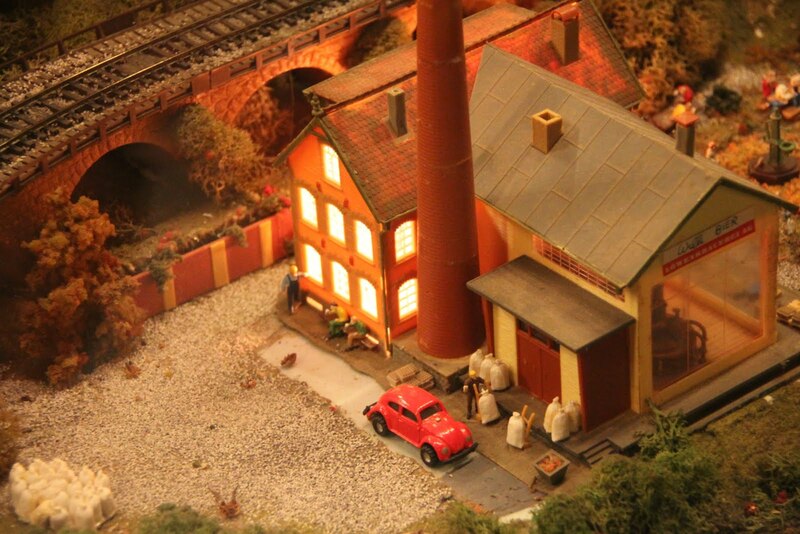 We welcome you to visit this marvelous, miniature German Alpine Model Railroad Exhibit called Charlemagne’s Kingdom, the only one of its kind in the United States.